which was also produced by David Destiny. 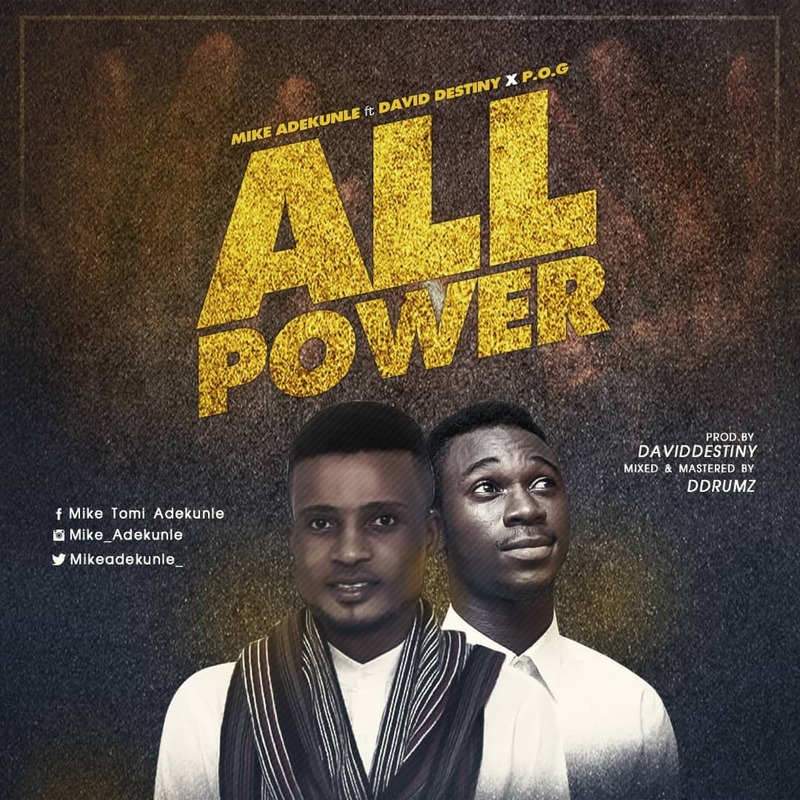 According to Mike Adekunle “ALL POWER” was divinely inspired by God from the book of Matthew 28:18-20, to be a blessing to people across the globe, after going through some hard times God inspired him to write the song after studying the word of God, despite all he’s being through,he wholly surrendered himself to JESUS without any delay. “ALL POWER” is a song of rigid belief in God, for being unquestionable and unsearchable,it’s a song of deliverance from every terrestrial powers. After some few days of writing the song, God gave me a Job, I got my personal studio equipments,which was where we recorded the song and working with David Destiny as a producer.